Apple’s program appears to be ramping up quickly — it has doubled the number of vehicles it is testing in California since January. 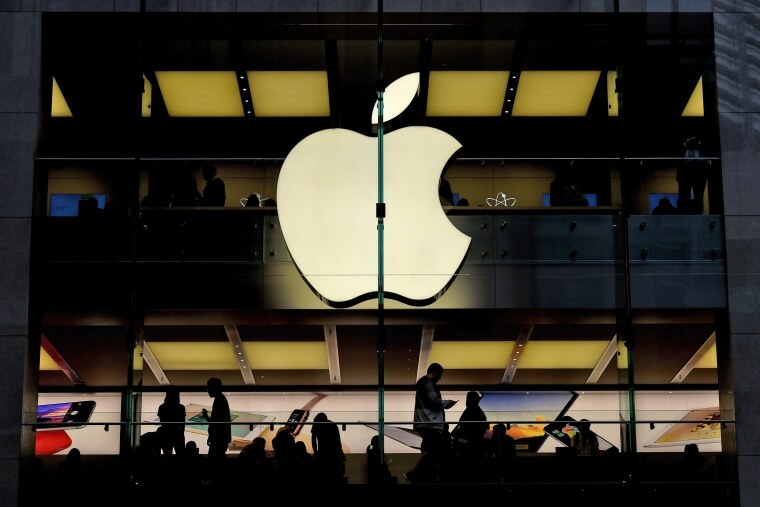 Traditionally secretive Apple has been dropping tantalizing hints that that it may be ready to challenge tech rivals like Google, as well as automotive giants General Motors, Toyota and Ford, by developing its own autonomous vehicles. Now, Apple is quietly preparing to launch a small fleet of self-driving vehicles onto California roadways. The state’s Department of Motor Vehicles just approved permits for 55 autonomous vehicle prototypes operated by Apple, as well as 83 human “operators” who need to be positioned to take control of those vehicles in an emergency. To put that into perspective, that’s more than the 51 self-driving prototypes operated by Google spin-off Waymo that are now licensed by the California DMV, though barely half of the 104 prototypes GM’s Cruise Automotive subsidiary is running in the Golden State. And it’s unclear if Apple has followed its rivals across the state border to Arizona and Nevada, where they’re now operating even bigger test fleets. But exactly what Apple intends to do is still a mystery. As recently as 2016 it was known to be hiring a number of auto industry veterans, including several from Tesla, building up what some thought might be a project designed to challenge its Silicon Valley rival, as well as traditional automotive manufacturers. But the effort, known as Project Titan, was suddenly scaled back, with Apple apparently deciding not to manufacture its own vehicles. Instead, it now is widely believed to be focusing solely on the software side of autonomous vehicle development. That would be more in line with what Waymo is doing. The subsidiary of Google parent Alphabet also abandoned the idea of building its own cars. Instead, it is perfecting self-driving software and also producing the extensive array of camera, radar, and laser sensors the technology requires. But Waymo has announced partnerships with several traditional automakers to provide the vehicles its technology will control. That includes the Chrysler Pacifica Hybrid and Jaguar’s new, all-electric I-Pace SUV. Waymo is widely considered the leader in the development of autonomous vehicles — those requiring a trained operator to sit behind the wheel, ready to take control in an emergency. But its ultimate goal is fully driverless vehicles that will operate entirely on their own as part of a ride-sharing service. Waymo recently received approval to launch a commercial venture from Arizona regulators and will launch later this year around Phoenix, CEO John Krafcik told NBC News in March. One of the mysteries surrounding the Apple program is whether it will target autonomous technology that could be licensed to an existing automaker — and sold to consumers — or if it will follow Waymo and also focus on fully driverless ride-sharing. By pulling the driver out of the vehicle, proponents believe it will become cheaper to hail a ride than own a personal vehicle. A study released last December by the Boston Consulting Group predicted that, by 2030, one-quarter of the miles Americans clock on the road will be inside driverless ride-sharing vehicles operated by the likes of Waymo or Uber. But autonomous and driverless vehicle technologies have faced some setbacks lately. In March, an Uber prototype driving through the Phoenix suburb of Tempe struck and killed a pedestrian, leading the service to temporarily halt testing. In recent months, several Tesla vehicles have been involved in crashes where they have been thought to be operating in the carmaker’s semi-autonomous Autopilot mode. Nonetheless, Tesla CEO Elon Musk has downplayed the danger, insisting that autonomous vehicles ultimately will be far safer than human-operated automobiles. Though Apple’s program appears to be ramping up quickly — it has doubled the number of vehicles it is testing in California since January — it also appears to be proceeding with some measure of caution. It has not yet applied for the separate state permit covering fully driverless prototypes. Under California DMV regulations, companies testing autonomous vehicles must report on problems, including not only crashes but “disengagements,” where those human operators have had to retake control. Because Apple has only recently begun testing, it hasn’t yet released its first “Vehicle Disengagement Report.” When it does, however, that could provide more insight into its autonomous vehicle program.